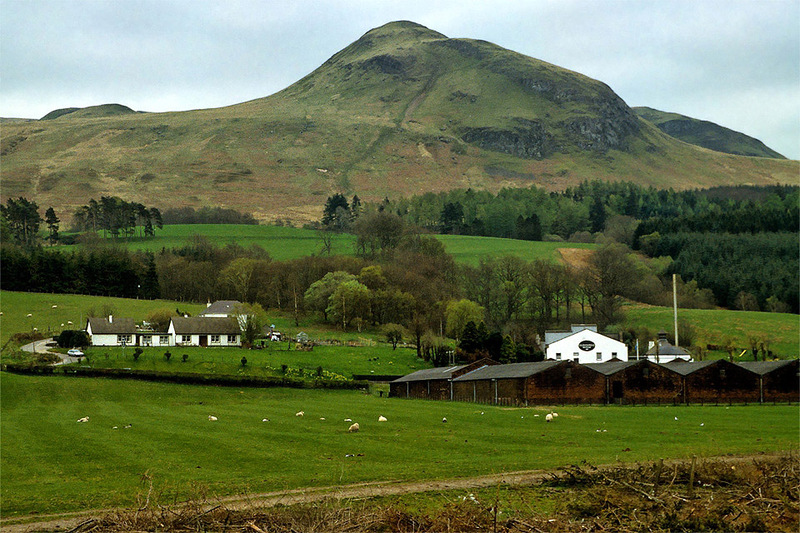 Day 1 and day 2: Milngavie to Balmaha (32 km), and on to Craig Royston (17 km). 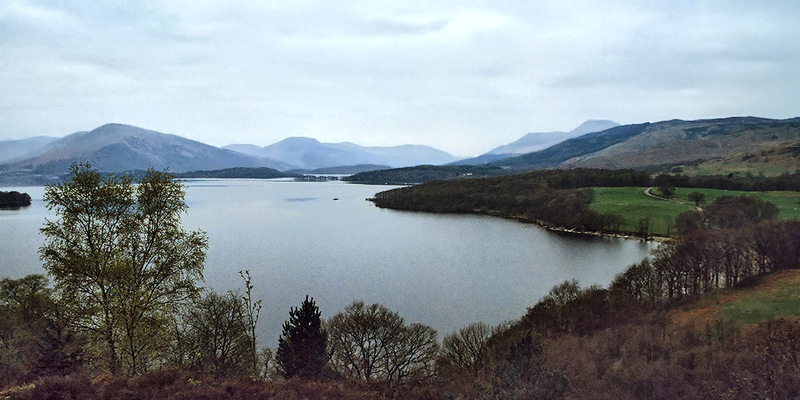 After my arrival at Glasgow airport I decided to spend the first two nights in a B&B in Balmaha at the southern shore of Loch Lomond. 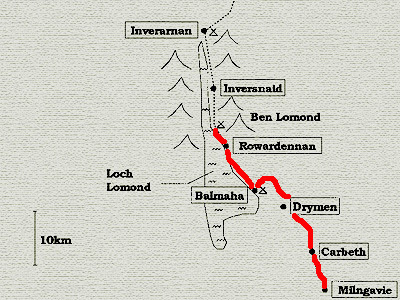 After the first night in the B&B the kind landlady gave me a lift back towards Glasgow to Milngavie, where I started walking. Unfortunately, on the first two days the weather was mostly very grey and dull. Nevertheless, walking without a heavy backpack (most of my gear I left in Balmaha) can be pleasant in any kind of weather. 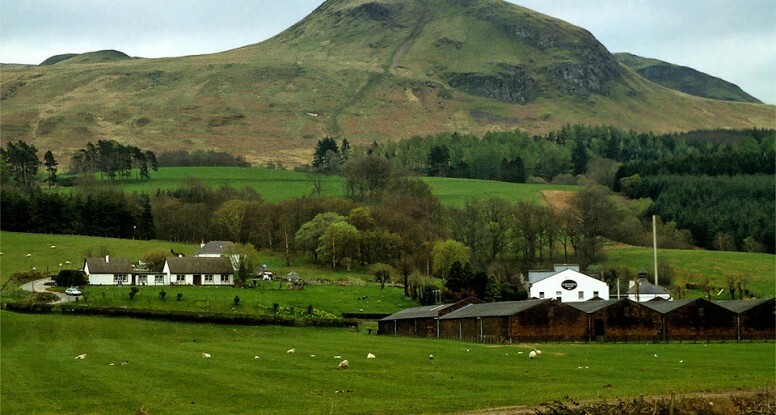 The way on the first day led me through Mugdock Wood, past the Dumgoyne Destillery, Carbeth, Drymen and finally over Conic Hill to Balmaha at the Loch Lomond shore. 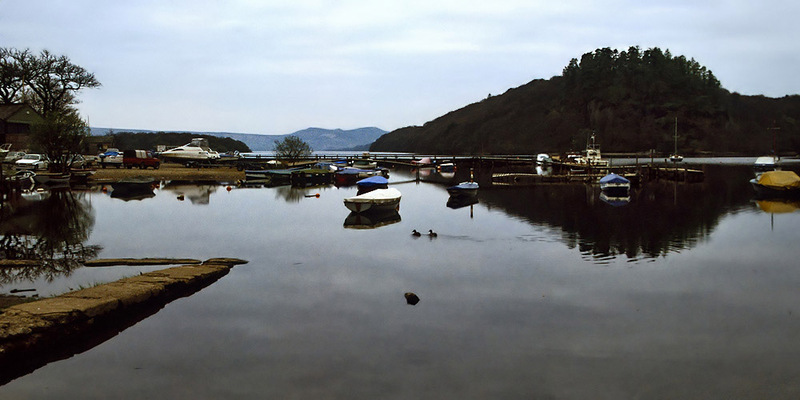 On the second day, after a second night in a warm bed, I left Balmaha early to prepare for a day with a heavy backpack, and thus much slower walking. 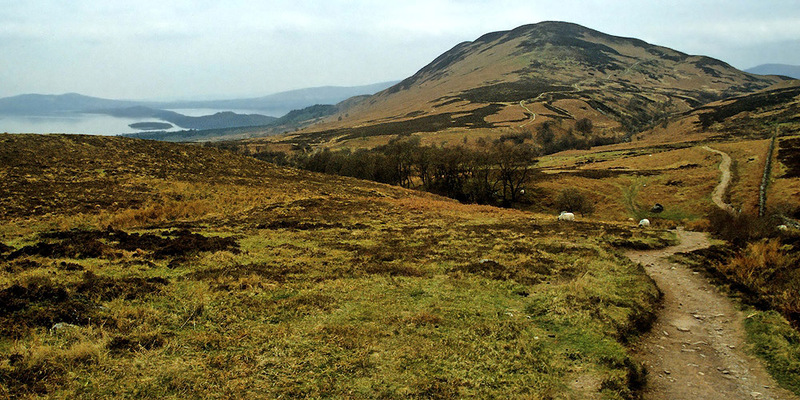 On this day the path was following the Shore of the Loch, entering “Rob Roy Country”: many places are connected to stories about Robert Roy MacGregor (1671 – 1734), a Jacobite and Scottish hero. 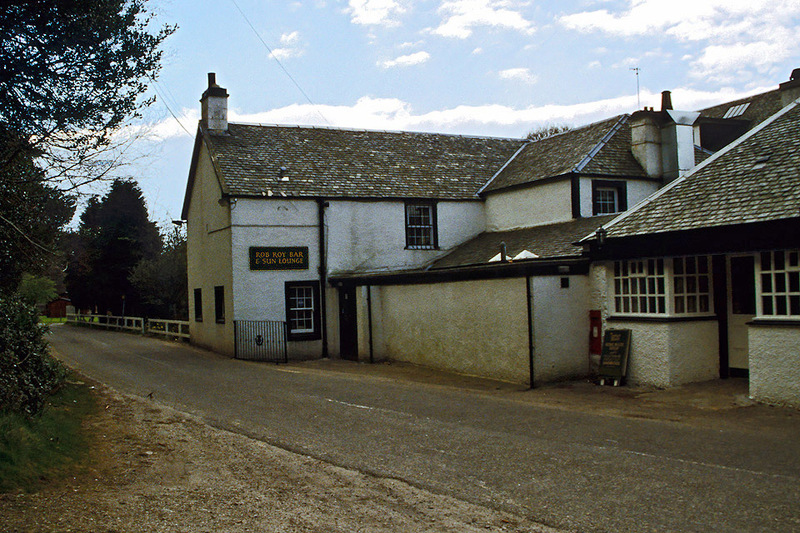 In early afternoon I refilled my water bottles at the Rob Roy Bar at Rowardennan. Actually two locals tried hard to convince me to fill them with whisky! 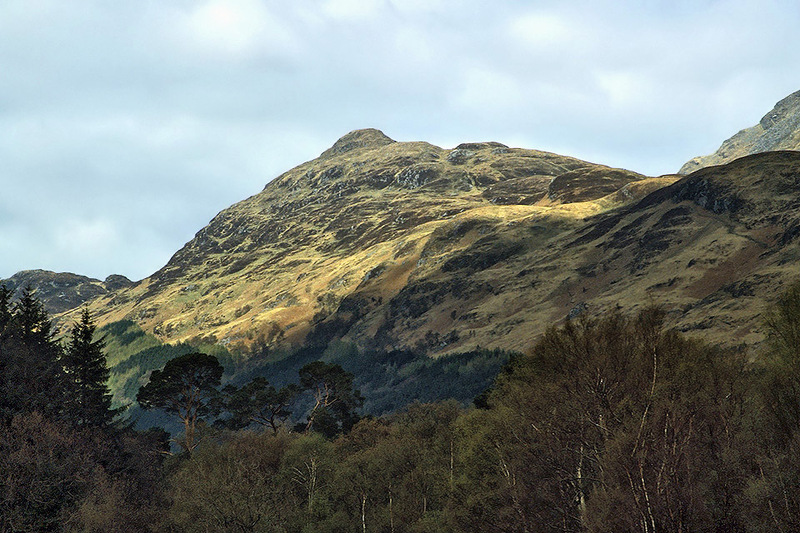 From there I went on to Craig Royston to put up my tent beneath Ben Lomond.